Shay Mitchell isn’t the only star of Pretty Little Liars saying a sad goodbye. Recently, Ian Harding said farewell to the Freeform series, EW reports. 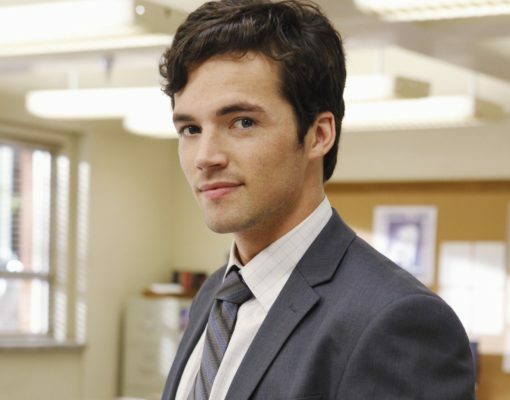 Harding plays Ezra Fitz on the drama, which also stars Troian Bellisario, Ashley Benson, Sasha Pieterse, and Lucy Hale. More to come w @ianmharding A sad and wonderful goodbye. So many of you have asked for @ianmharding's wrap moment. Ian, I hope you are OK w me sharing. ❤️ you. The final season of Pretty Little Liars debuts in April 2017. What do you think? Are you a fan of Pretty Little Liars? Will you miss Fitz?